While personality shows what you are outside or what you are to the world, character reveals what you are inside. As these are directly related to a person’s attitude and behaviour, most people get confused between these two easily. We all are same in many ways like we all have got the same human body, nature, feelings, mind and so on. But if you observe deeply you will find that every human being has certain different traits and habits that make him/her unique. It is a fact that two persons can never be exactly identical to each other, even if you talk about twins, they also differ more or less in their perception, hobbies, mood, nature, etc. Take a read of this article in which we’ve simplied the difference between personality and character. 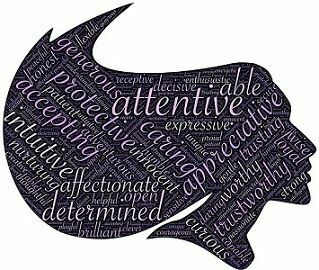 Meaning Personality refers to the range of distinctive personal qualities and traits of an individual. A character refers to a set of morals and beliefs that defines how we treat or behave with others and ourselves. Represents Who we seem to be? Who we actually are? Expression Outer appearance and behavior of a person. Traits of a person that are abstract. Change May change over time. Remains same. Personality can be defined as a combination of mental behaviour and traits or qualities like thinking pattern, feeling and acting. It is a range of enduring tendencies of an individual to think, feel and behave in a specific manner in diverse situations. It refers to the systematic arrangement of all your dispositions like attitude, thoughts, feelings, emotions, etc. By the term character, we mean an enduring and distinguishing mental and moral characteristics in an individual. It is the only factor which determines our reaction or response to the given event or situation. It defines a person’s behaviour pattern, thinking style, controls feelings. It is based on the environment that surrounds us, mental ability, moral principles and similar other factors. It is the most precious thing possessed by a person, evidenced by the limits he/she never crossed. Personality refers to the combination of qualities, attitude and behaviour, that makes a person distinct from others. Character refers to a set of moral and mental qualities and beliefs, that makes a person different from others. Personality implies Who we seem to be? On the other hand, the character represents Who we actually are? Personality is a set of personal qualities whereas character is a collection of mental and moral characteristics of an individual. The personality is the mask or the identity of a person. Conversely, the character is the learned behaviour. Personality is subjective, but the character is objective. Personality is the outer appearance and behaviour of a person. At the same time, character indicates the traits of a person which are hidden from sight. The personality of an individual may change with time. However, the character lasts longer. Character requires validation and support of society. In contrast, the personality, does not need validation and support of the society. After reviewing the above points, it is clear that personality is different from a character in a sense that personality reflects the outer shell, whereas the character, shows the inner self. If you combine your personality and your character, the result will be who you are in reality. If you combine your personality and your character, the result will be who are in reality. Thank you so much. It’s really helpful to understand difference between personality and character. I was really confused about its.